What are zirconium and hafnium? Zirconium (Zr) is commonly found in felsic rock an igneous rock rich in silica and feldspar. The most common source of zirconium is zircon (ZrSiO4), a zirconium silicate mineral. Zircon’s hardness, chemical inertness and durability mean it surpasses most other minerals when it comes to surviving weathering and erosion. As a result, zircon becomes concentrated in sedimentary deposits and is present in most sands. It is found in economic concentrations in heavy mineral sand deposits. Hafnium is chemically similar to zirconium and separating the two elements is difficult. Because of this, most commercial hafnium is a by-product of zirconium refining. Zircon is the primary source of all hafnium, containing it at a ratio of about 50 to 1. Hafnium is particularly resistant to corrosion and can absorb neutrons at a high rate, making it sought after by the nuclear industry. What are zircon and hafnium used for? For centuries zirconium and its alloys have been used in a variety of industries, including ceramics and refractory applications. Today, around 51% of zirconium consumption remains in the ceramics industry, with around 25% used in the refractory (heat resistant), foundry and precision-casting segments. Other uses include nuclear fuel cladding, chemical piping for corrosive environments, heat exchangers and various specialty alloys. Zirconium is also an increasingly important tool for new technologies, mostly due to its refractoriness, hardness and resistance to chemical breakdown. These new technologies include clean energy, such as solid oxide fuel cells that provide reliable and affordable portable power, as well as biocompatible, long-lasting, hard-wearing joints, such as ceramic knee and hip implants. Zirconium can also be used in the signal amplifiers built into mobile phones and phone towers to boost signal strength and clarity. Hafnium is used in nuclear control rods, nickel-based superalloys, nozzles for plasma arc metal cutting and high-temperature ceramics. Where do zircon and hafnium come from? Zircon is mostly produced as a co-product or by-product of the heavy mineral sands industry, which also extracts the titanium minerals ilmenite and rutile. Hafnium is a by-product of zircon refining. Global zircon production is dominated by Australia (33%) and South Africa (27%), with China (11%) and Indonesia (8%) also making significant contributions. Between 1999 and 2014, zirconium supply grew at a compound annual growth rate (CAGR) of 6.75% from 673,000t to 1,680,000t. Between 2014 and 2016 supply decreased by 21% from 1,680,000t to 1,330,000t. Demand for zircon declined sharply in 2011 from 1.4 metric tons (Mt) to 1.1Mt in 2014 as a result of high prices, leading to demand destruction in the ceramics sector. Since 2011, however, demand has remained fairly flat at 1.1Mt but is expected to increase to 1.6Mt by 2025. Supply and demand data for hafnium are not widely available because of the close association with the nuclear industry and the small customer base. Global production is estimated to be around 70 tons per year, of which at least 75% comes from China. What zircon projects are coming on stream? There are a number of heavy mineral sands projects in development that could add to zircon supply levels. Strandlines Resources is developing the Fungoni project in Tanzania and the Coburn project in Western Australia. 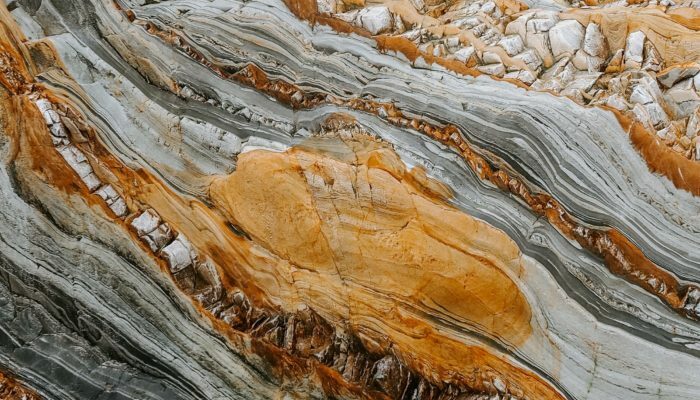 Base Resources is planning to increase its production levels by expanding production at its Kwale mine and developing the Torliara project in Madagascar. Savannah Resources and consortium partner Rio Tinto are continuing to advance the Mutamba project in Mozambique. Finally, Alkane Resources’ Dubbo Project could potentially provide a non-heavy mineral sands, non-zircon source of zirconium. The project is focused on a fine-grained micro-porphyritic trachyte that contains an unusual hydrous zirconium silicate, which could provide a source of zirconium with a lower radioactive content than zircon. US import zirconium prices increased at a CAGR of 18% from US$311/t in 1999 to US$2,500/t in 2012 before falling 53% to US$1,207/t by 2014. The current zircon price is around US$1,013/t and the hafnium price is around US$850,000/t. Experts expect zircon prices to continue to rise over the mid-term, reaching US$1,400/t by 2021, driven by a combination of supply shortages caused by under-investment in the space when prices were low. In addition, a decrease in ‘grade’, increased strip ratios at some of the major operations, increasing operating costs and growth in demand from new technologies are all likely to inflate prices.